Labor Day weekend is always a huge weekend for beach trips. For many people it is one last chance to relax and play down at the Jersey shore before school and work picks up again. 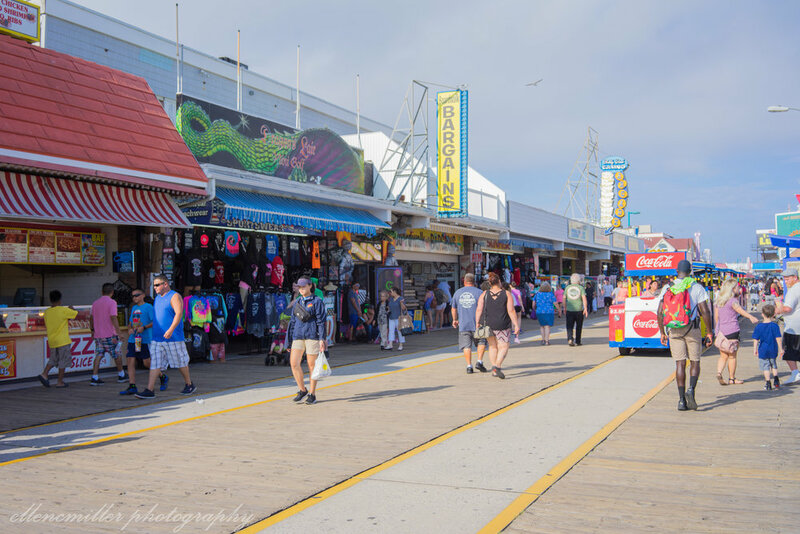 If I go to the shore during the summer it’s probably only a day trip to Ocean City, NJ - where I’ll sit on beach a bit, take a walk on the boardwalk, and definitely enjoy some tasty summer beach foods. This year though my first opportunity for a beach day wasn’t until Labor Day weekend. 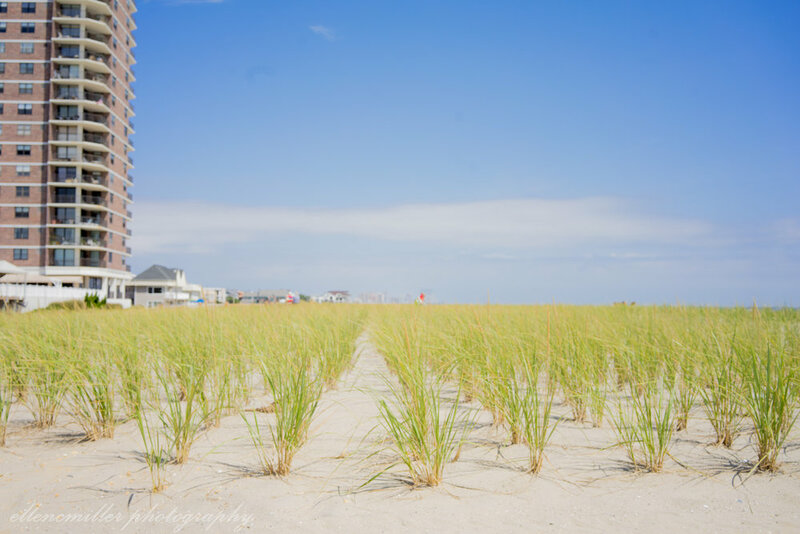 So I went with my dad and sister for a day, but rather than going and sitting on the beach all day we opted to turn that beach day into a little Jersey Shore roadtrip! The road trip began in Atlantic City and took us all the way down to Cape May. While we had a few things in mind to stop for the majority of this trip was unplanned. I took my camera along for the ride (of course) and tried to take at least one photo in each town we passed through. One souvenir I will always try to get everywhere I go is a “collectable penny”. 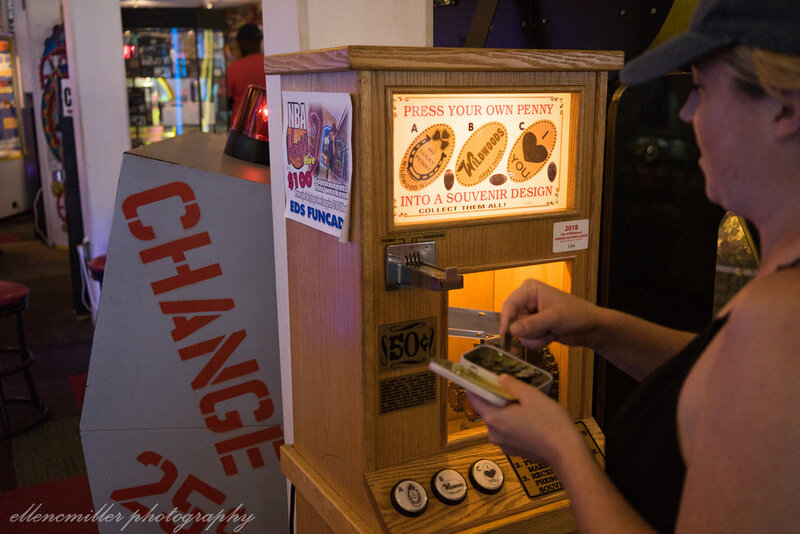 While there really aren’t a huge amount of places that still have penny machines there are still loads of cool pennies you get during your travels. They’re similar to buying post cards but more unique sort of. Plus it is fun to turn the wheel and watch you penny get squished! Before the trip we printed the list of all the penny machines left in New Jersey (found on penny-collector.com) and so as we made away down the jersey shore we stopped got a penny from all the machines we found, or were interested in at least. As we drove through Atlantic City, passing all the casinos, we saw a little lighthouse. 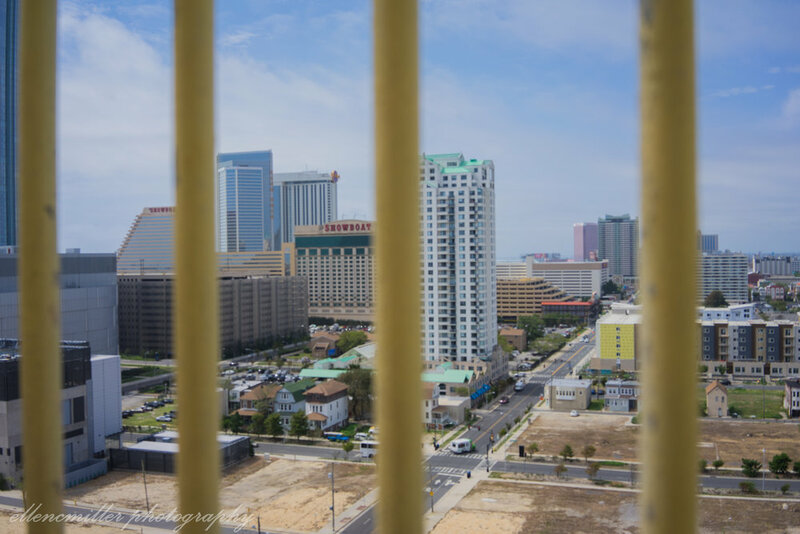 At first we weren’t sure if it was actually open or if was an abandoned lighthouse, but then we realized it was the Absecon lighthouse and also realized that they supposedly had a penny machine! 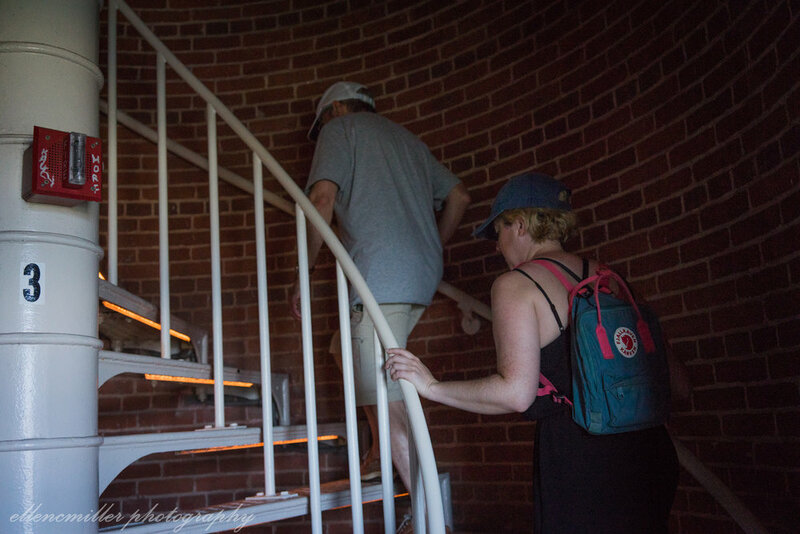 So after we parked and looked at the beach for a moment we climbed the stairs to the top the lighthouse. 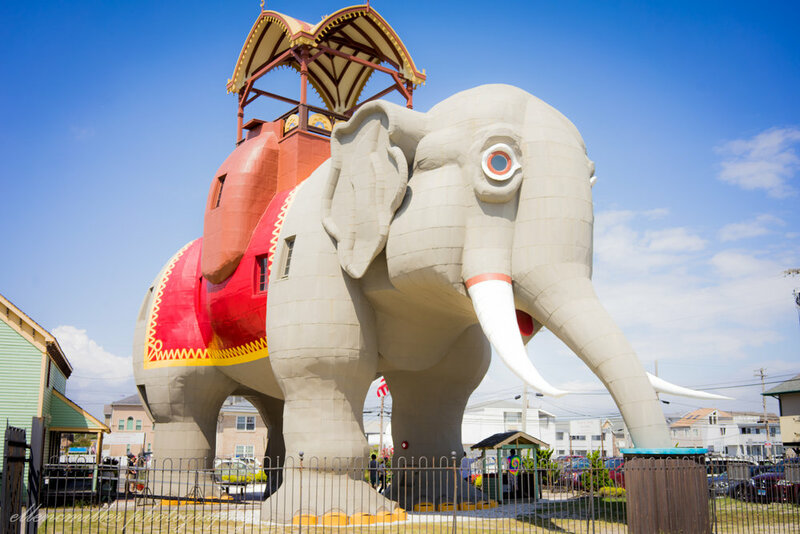 Our first stop after Atlantic City was to see Lucy the Elephant in Margate. We had this one planned since before we left home too. While we did not take the tour of Lucy we did get a squished penny and walked underneath her & around the grounds. However, you may pay to take the guided tour of Lucy to enjoy a more detailed visit. Roma pizza has been my boardwalk pizza of choice since a very young age. As a kid I remember taking a break from boogie boarding to get a slice and birch beer at Roma. Today we made a quick stop in Ocean City to eat a slice or two on the boardwalk while looking over out over the ocean. Tip: the buffalo chicken pizza is super delicious and their white veggie pizzas always a good go-to choice. Ads are always flying by above you while sitting on the beach, but while we ate our pizza we happened to notice the ad flying by at that moment was for Hank Sauce - which happens to be one my favorite hot sauces! After enjoying our lunch in Ocean City the journey took us through Sea Isle, Avalon, and Stone Harbor. While we did not stop in any of these towns during this trip they are all nice places to to spend a beach day. If you are looking for some food while in Sea Isle then head over to the Hank’s Sauce restaurant. They serve food and also sell bottles of their hot sauce to take home with you. 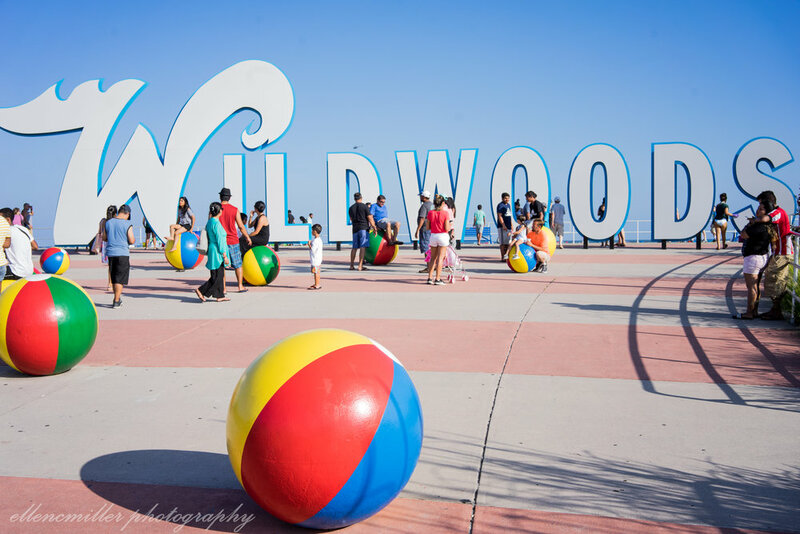 Our next stop on the road trip was in Wildwood, NJ. 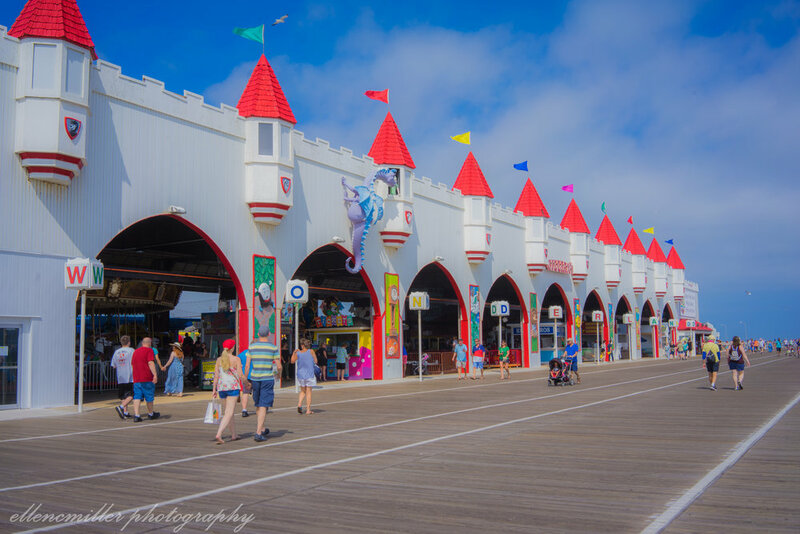 We first stopped at the boardwalk to find a penny machine listed as being at Ed’s Funcade. Note: there are multiple of these arcades so be sure you have the correct location because only one has the penny machine! 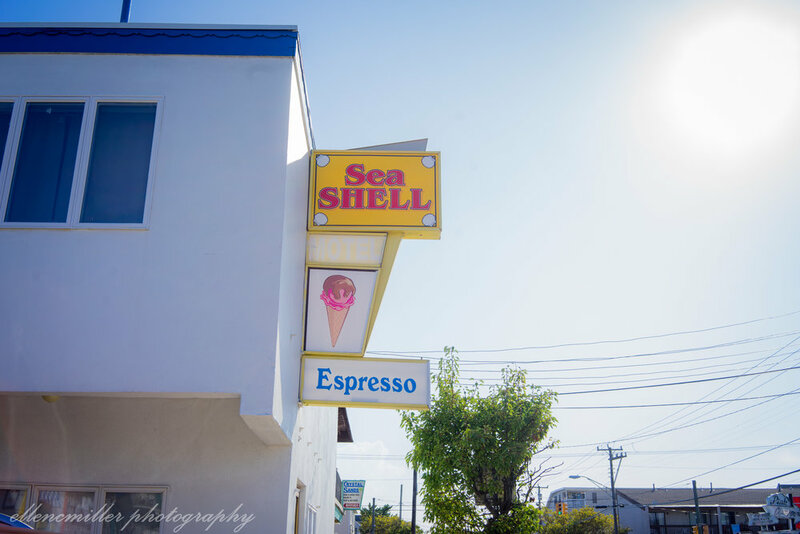 We stopped for some ice cream at Sea Shell Ice Cream. I recommend the Black Raspberry flavor - tasty and refreshing - but be prepared for large servings! Before this road trip the only times in recent years I remember coming to Cape May have been to film weddings at Congress Hall. While Congress Hall is a very nice hotel and venue, and the beach does look nice I never have come to just explore and see what’s here. Today as we entered Cape May we knew there was a lighthouse so we continued driving south until we found it. We figured since we began in Atlantic City with a lighthouse we should continue the theme and end with one too! At last we arrived at the Cape May lighthouse - which is located just inside a state park. The first thing we did upon arriving was get our last collectible pennies of the trip. Then we proceeded to climb the stairs to the top. 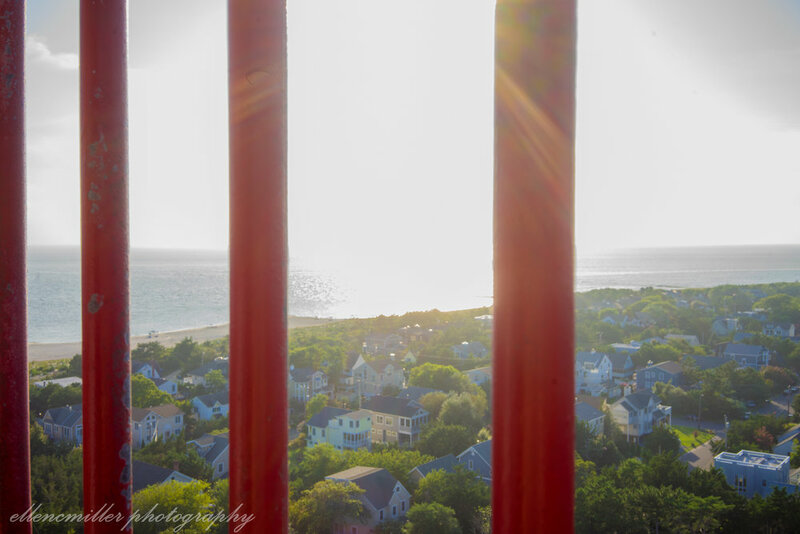 The view from this lighthouse was really nice and different from the Absecon lighthouse. 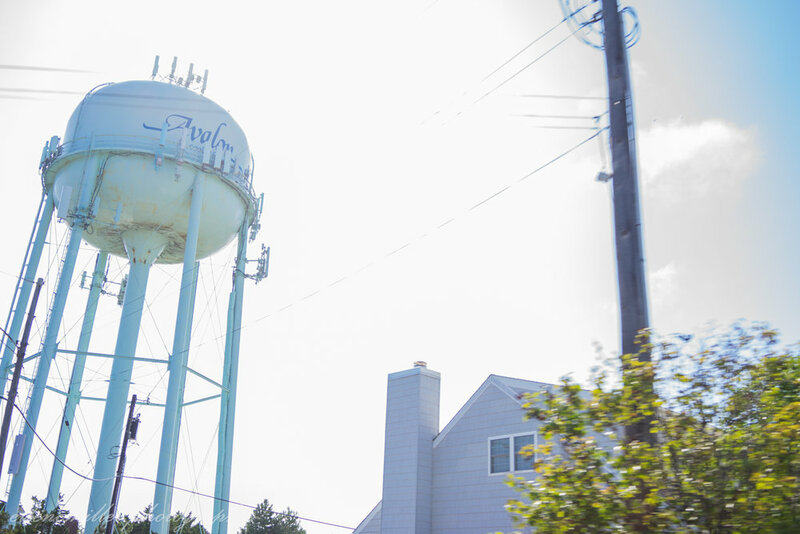 While both had nice views of their beaches down below, the Cape May lighthouse doesn’t have the city feeling that the the Absecon lighthouse could give you a bit of. As we left Cape May Lighthouse we were pulling up Google Maps to navigate home and opted to take local roads (rather than the main highways). If you have the extra time and don’t mind a little bit longer drive it can be super fun to take back roads! You’ll get to see little towns you bypass by taking the highway and you never know what you may happen upon during the trip.